Firstly, Happy New Year to all! With a new year comes new garden trends and it’s no different for 2019. Essentially this is the small spaces that come with living in an urban city environment. See our small garden tips blog https://www.auralandscapes.co.uk/blog/small-garden-12-tips-design-build/ for how to make the best use of a small garden. I’m not talking about standard pots. 2019 is all about the wonderful array and variety of pots out there! Colour is a particular garden trend for 2019 – pots, flowers and design (see asymmetric design below). From fruit to herbs, all of which can be grown in the smallest of spaces including balconies. The emergence of ‘patio fruits’ (dwarf versions of the larger popular plants) are on the rise. 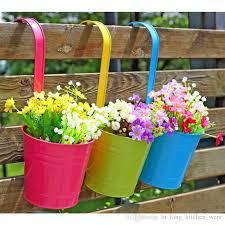 This is due to the ever decreasing size of our gardens and, the increase in popularity in wanting to grow our own. Make your garden unexpected with the use of asymmetrical design elements, a less structured and more natural look and feel. Adding a vibrant colour to fences and furniture is an option, even delving into the realms of outdoor wallpaper! Is about to make a come back – so they say. Irregular slabs and stepping stones are going to make a comeback but using the larger slab sizes. 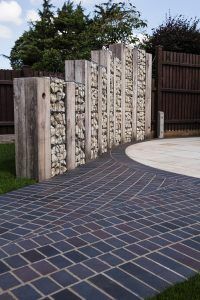 These have been around for a while and are a great option for a retaining wall or for a decorative/feature wall to separate different spaces in the garden. We love them and predict they will prove popular in 2019. 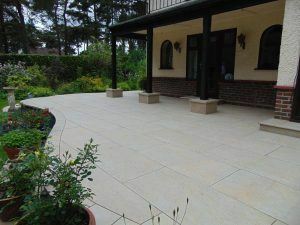 Porcelain paving is still trending for 2019. It was a huge trend of 2018 that keeps proving popular with homeowners for their outdoor space. We can see why – It looks great, it’s a durable material and has a non slip surface. It also comes in a variety of colours and sizes and looks great in a modern space. If we can help you with your garden for 2019, and you fancy a new on trend look, just get in touch!